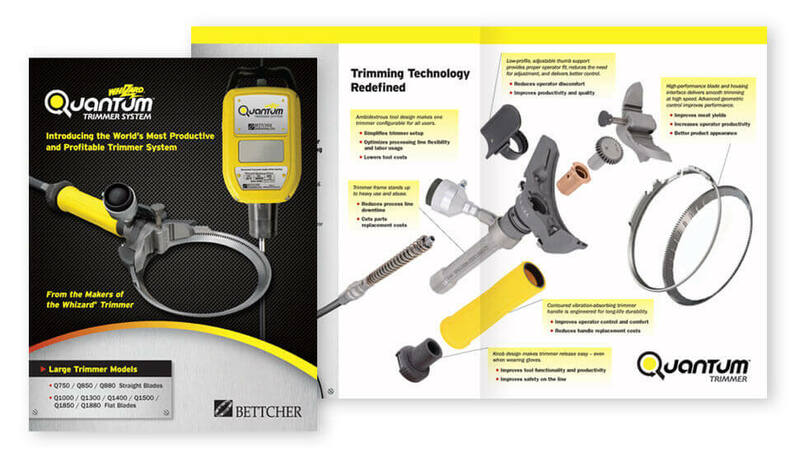 Bettcher Industries is the world’s manufacturing leader in powered hand-held cutting and trimming tools used by meat and poultry processing plants. The company pioneered the category in the early 1960s, and has spearheaded every technological advance in the category since then. 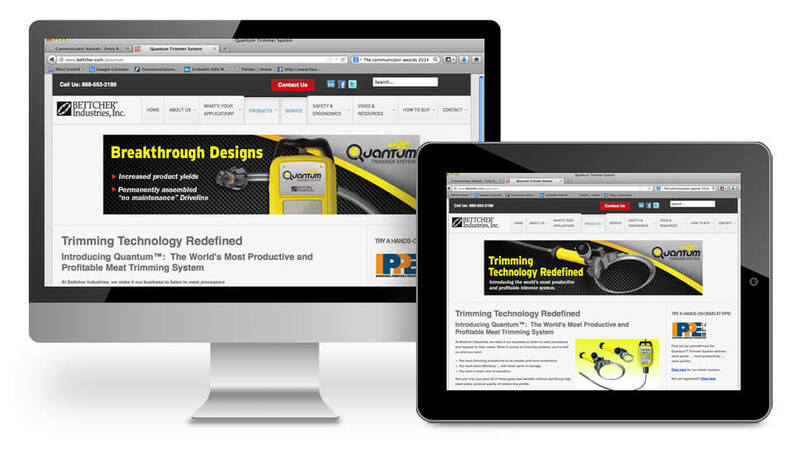 Bettcher’s latest innovation represents an engineering breakthrough. 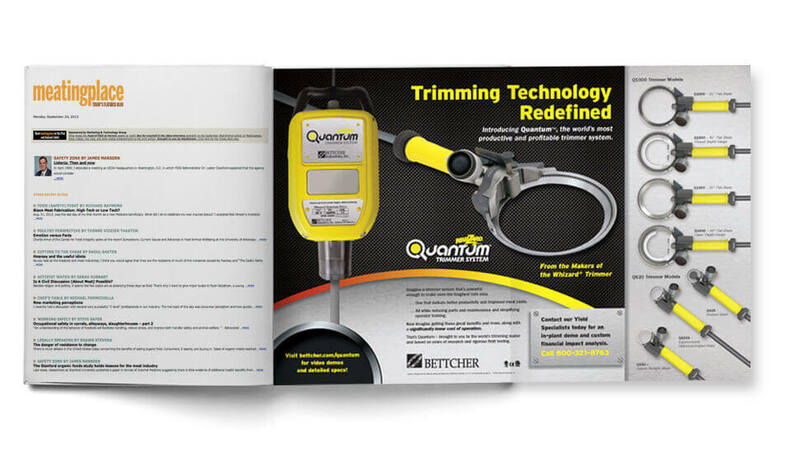 The Quantum® Trimmer System incorporates major improvements in cutting blade technology, motor power and torque, plus ergonomic hand tool design. The result is the most powerful and productive tool for meat trimming — one that delivers dramatically higher product yields, increased sales and better plant profits. Bettcher wanted to gain maximum industry attention and interest when it introduced the new equipment line, leading to quick conversions to the new trimmer system. We developed a strong, compelling brand voice including a striking visual identity platform and strong messaging. This distinctive branding was carried through all print and digital advertising, print and electronic literature, web landing pages, e-mail and postal mail marketing, trade show materials, and display posters at industry events. 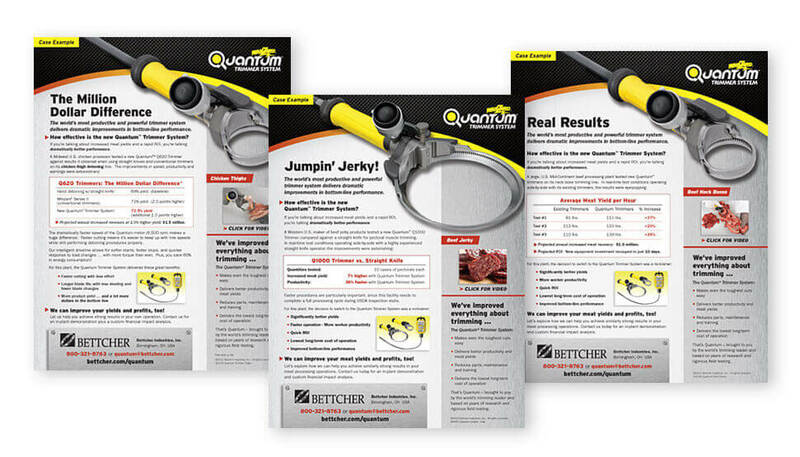 Within the first 12 months, numerous industry success stories were collected and publicized via advertorials and blog articles, further underscoring the impressive customer benefits delivered by Bettcher’s new product.